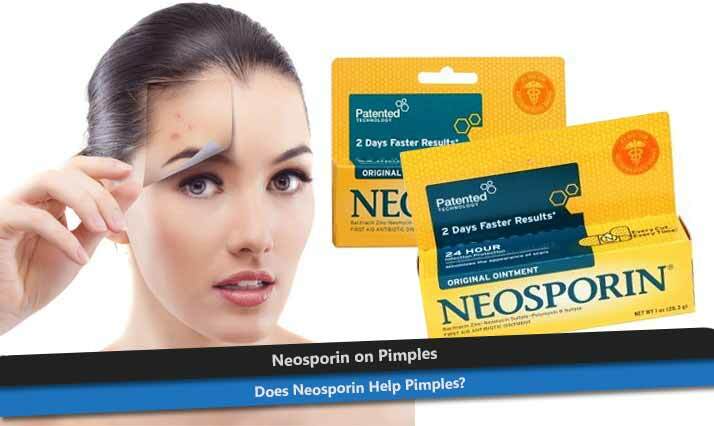 Neosporin on Pimples - Does Neosporin Help Pimples? Neosporin on Pimples – Does Neosporin Help Pimples? When looking for an antibacterial treatment especially for curing pimples from your medicine cabinet, everyone may consider using Neosporin. This kind of home remedies said to be ideal for treating just-emerging zit. However, you may still wonder whether Neosporin for pimple is really working as you imagine, don’t you? Neosporin is a topical ointment in form of creams and gels with infection-preventing agent containing Triple Antibiotic Ointments (TAOs) include Polymyxin B Sulfate, Bacitracin Zinc, and Neomycin. Polymyxin B Sulfate is an antibiotic agent to get rid gram-negative bacteria which commonly known as the cause infections in wounds or after surgery. This ingredient is often resistant to drugs and antibiotics resistance which means unsafe for prolonged period uses. Yet, Propionibacterium acnes is a gram-positive bacteria which causes the growth of acnes. The second main ingredient, Bacitracin, only works against streptococci and S. aureus bacteria, but won’t work against gram-positive bacteria. Zinc content also discussed to help increasing the levels of zinc which usually low in the people with acne. But, it’s only work when taken orally, for topically application give no effect at all. Last, Neomycin deters the protein synthesis process which can be used on gram-negative and gram-positive bacteria. However, it’s mainly worked for gram-positive S. aureus, but does not work against P. acnes. Summarily, looking on the function of main ingredients in Neosporin, we can conclude that it doesn’t work well to get rid gram-positive bacteria of P. acnes, while long period topically use also does not recommended. Yet, there is a reasonable answer why a lot of people said that Neosporin is working for pimple. Neosporin ingredients are wound-healing aid which means helping your damaged skin to heal faster and moisturize to avoid scarring. So, your skin can heal or at least look better by applying it, but it won’t kill the main cause, acne bacteria. It’s only recommended to apply Neosporin when the pimple has popped or on the process of healing after popped to prevent scarring. Instead the benefit, there are some side effect of Neosporin for pimple that may occurs. Neosporin is using petroleum jelly as the base contents to keep the wound moist. However, it can clog the pores, although can work to heal the acne scars. As mentioned before, the ingredients also can cause antibiotics resistance so it’s not for extended use. We can say that it can bring more harm than good for treating acne. How to Use Neosporin for Pimples? Wash your face with warm water and dry it thoroughly. Use cotton swab to apply Neosporin on the acne-affected areas. Ensure you only apply Neosporin on popped pimples not major/severe acne. Neosporin is generally used for healing wounds and helps moisturizing the cuts to not leaving a scar. Still, it won’t work the same as healing wounds to kill the bacteria that causes pimples instead only help popping pimple heals. So, looking on the reason above, actually using Neosporin for pimple isn’t recommended treatment particularly for major acne. Instead, it may work only to treat popped pimples and prevent the scarring for short period uses only. However, you still need to consult with dermatologist to get the proper treatment to avoid any undesirable side effect.